NGN stands for Next Generation Networks which is a part of present-day telecommunication system. NGN is equipped with different capabilities to transport different components of media like voice, video, streaming audio/video, text, etc. NGN is developed around the concept of packet switching as in Internet Protocol architecture. NGN is more effective and equally complicated and involves number of systems, equipment, and processing. 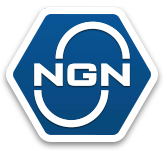 NGN tutorial is designed for beginners to make them understand the basics of NGN and its components. Once you complete this tutorial you will get a good know-how of Next Generation Networks. To learn NGN tutorial you need to have a basic understanding of computer networking, signal processing, and telecommunication system.